I ordered a set of Steelfiber i95cw stiff and got them in today (it was a reputable dealer on ebay). 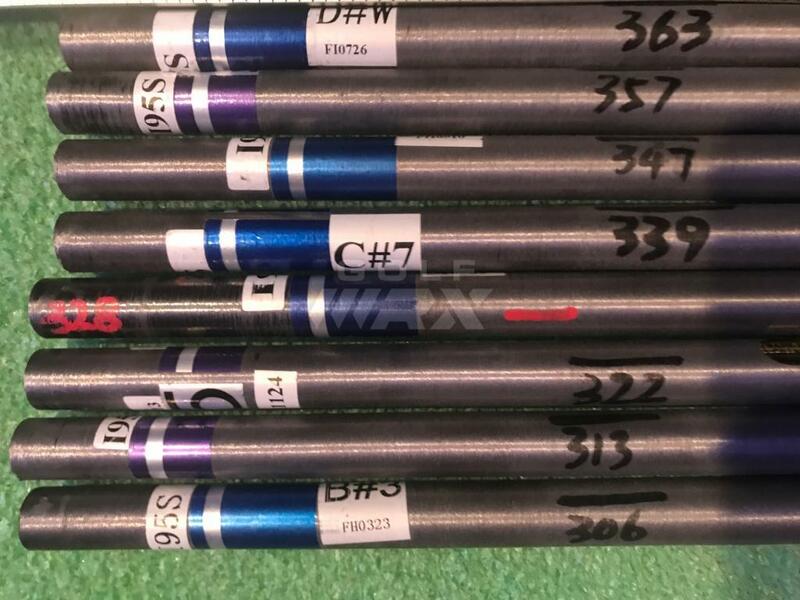 They have the CPM numbers marked on the shafts and I'm a little worried about them. First the gaps between each shaft seem higher than what I've seen they should be on the internet. Secondly, the Wedge shaft is 363cpm. That's off the charts stiff isn't it? I'm not really sure if this is a problem, but would appreciate any help with it. They’re measured with 205g tip weight. No, they are not that extreme. The bend profile is on the stiffer side, that’s the way they are desinged. Shafts are built on a flex slope, hence why the shorter shafts read stiffer. Ok thanks, I know they are supposed to get stiffer through the set, but wasn't sure if the 10+ per shaft was correct. I appreciate the info. I forgot that I had a few Steelfiber 125's laying around so I pulled the grip on a 6 iron shaft and it showed 337. On the 95's I just got the 6 iron is 328. So it's interesting the 125's essentially were a flex stronger.